Bundt pans aren’t just for making cakes! Try out these yummy tasting recipes that use a bundt pan as a marvelous baking tool. There’s no monkeying around with this bread – this is some serious carrot cake flavored deliciousness! It’s so easy to pull apart and nibble on, you might have to bake a second one just in case. 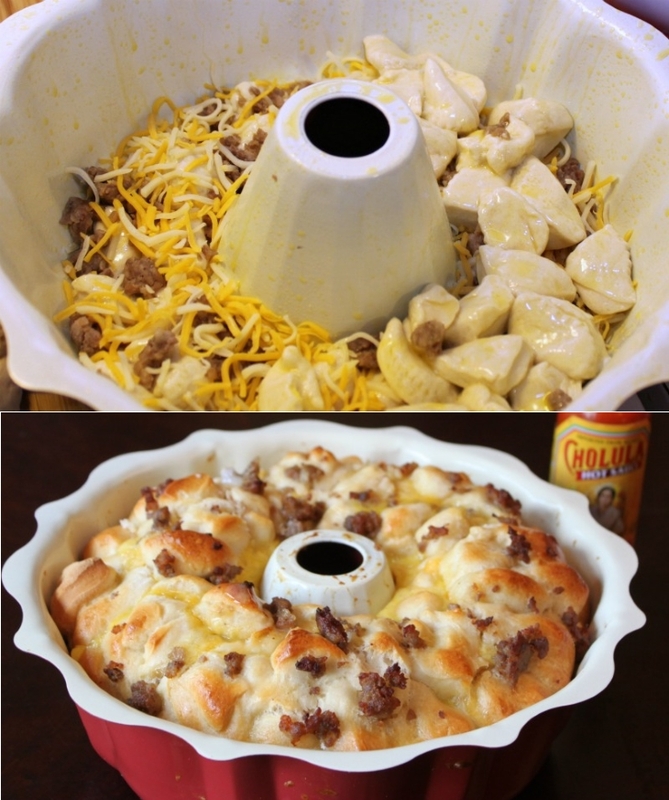 Find out how to make this yummy monkey bread over at Something Swanky. Do you love sausage, egg, and cheese for breakfast? This version has all of it mixed in with the bread too! The recipe for this magical breakfast creation can be found over at The Neighborhood Moms. An old favorite is cooked up in a new way! 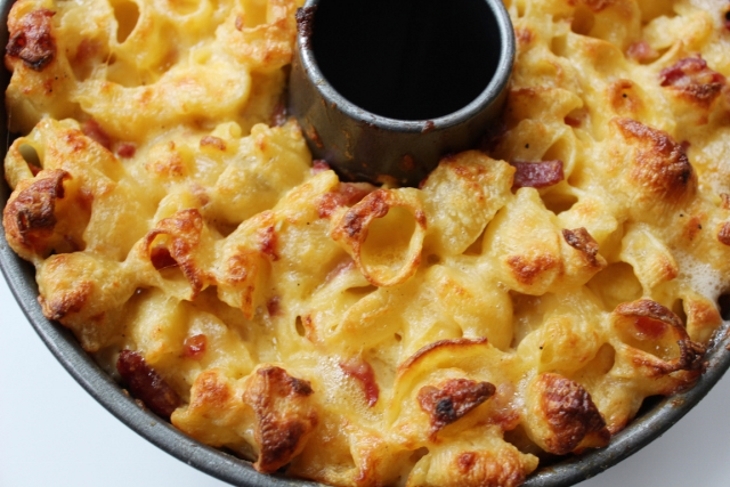 Amsterdam & Beyond has a great recipe for making this cheesy pasta delight. 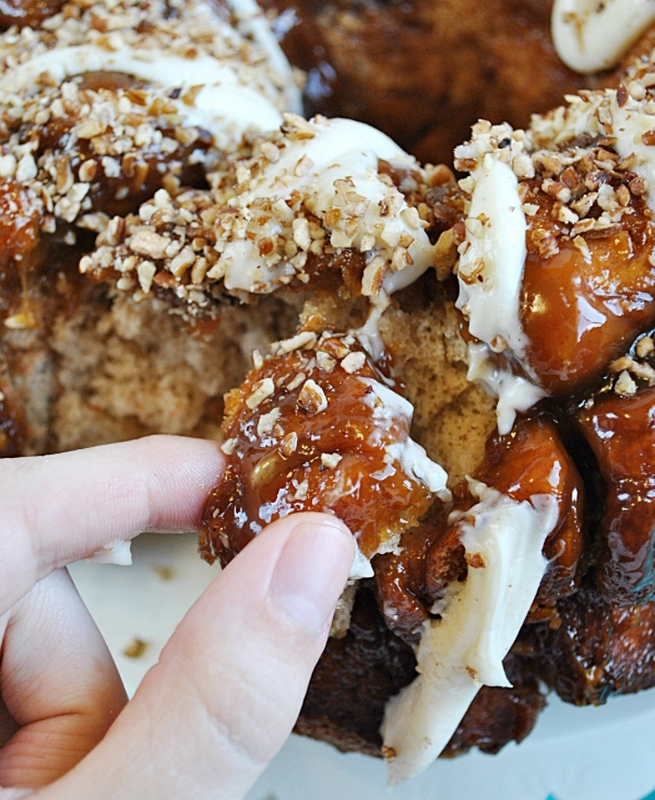 Who says monkey bread has to be sweet? This savory delight is made with refrigerated biscuit dough, which is dipped in a delicious blend of fresh herbs and cheese. You can’t go wrong with this! The recipe for this scrumptious dish can be found at Five Heart Home. Wait…what? 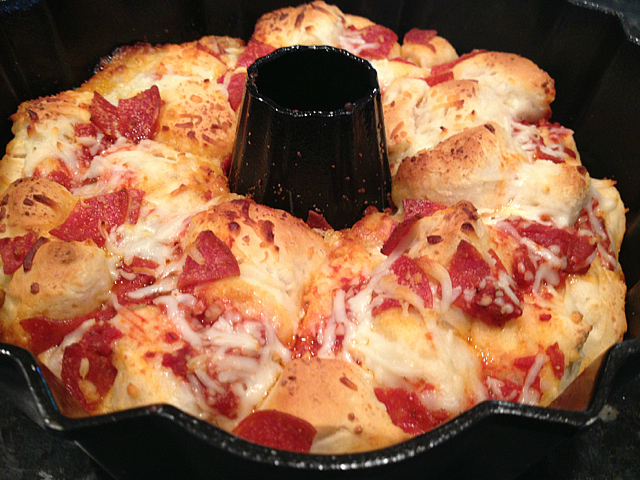 Pizza in a bundt pan? Absolutely! There’s no need to embellish this one with words. Just go to Mm Good ASAP for the recipe. 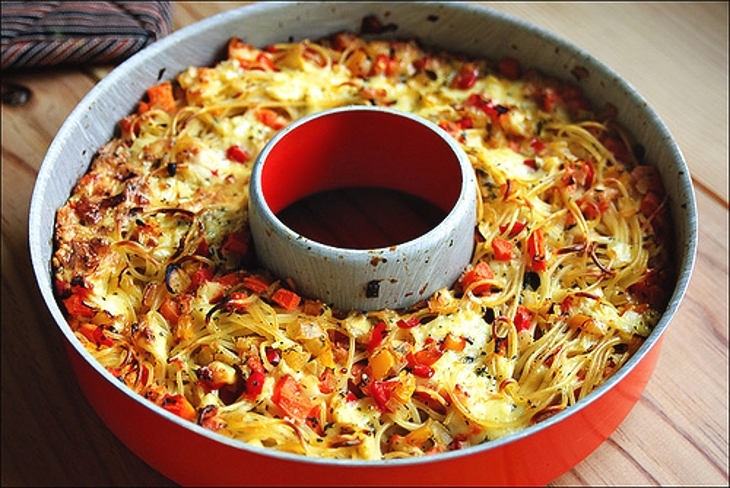 Hmmm, spaghetti that comes in a pie form. There’s nothing wrong with that! Check out Kayotic Living for more details on this yummy recipe. This one is different. 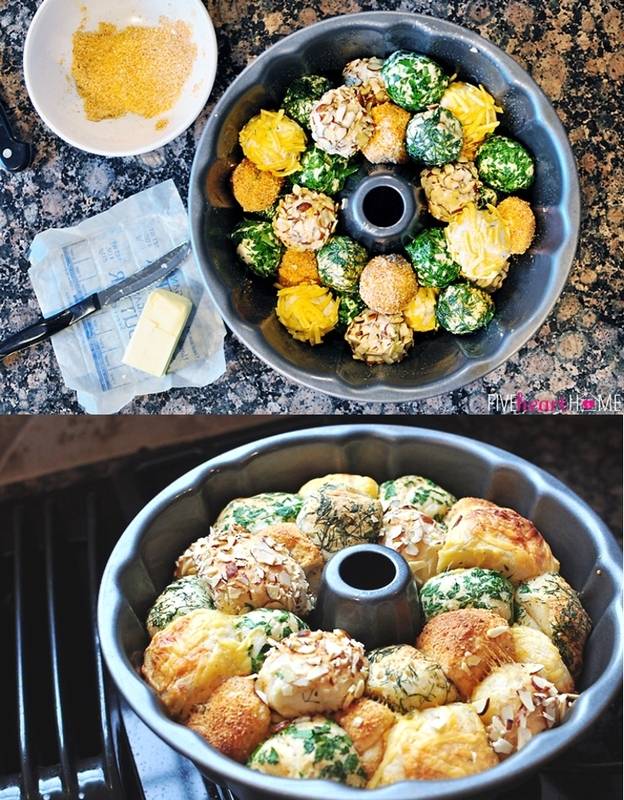 Instead of stuffing a bird or making boxed stovetop stuffing, you can make an entire stuffing ring in a bundt pan! This will make a pretty presentation piece for a Sunday roast with gravy. 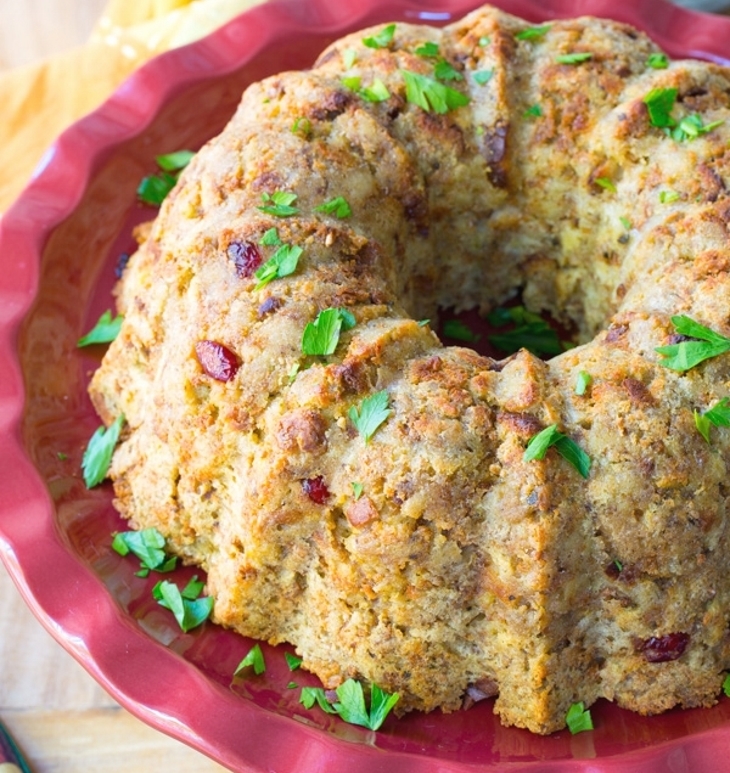 A cool recipe over from A Spicy Perspective shows you how to make this gorgeous stuffing. Mmmm, spicy and cheesy all at once. 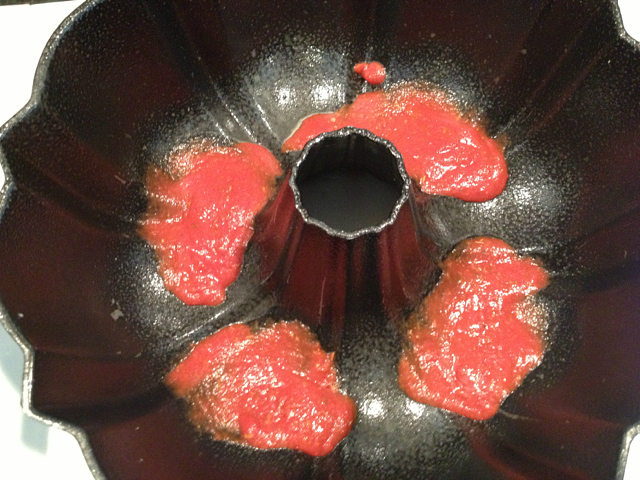 There’s room for more poppers in a bundt pan than a regular one since the peppers are standing upright. Who can argue with having more finger snacks? A yummy recipe from Zestuous shows you just how to make this spicy wonder! This is an interesting way to serve up an old classic. 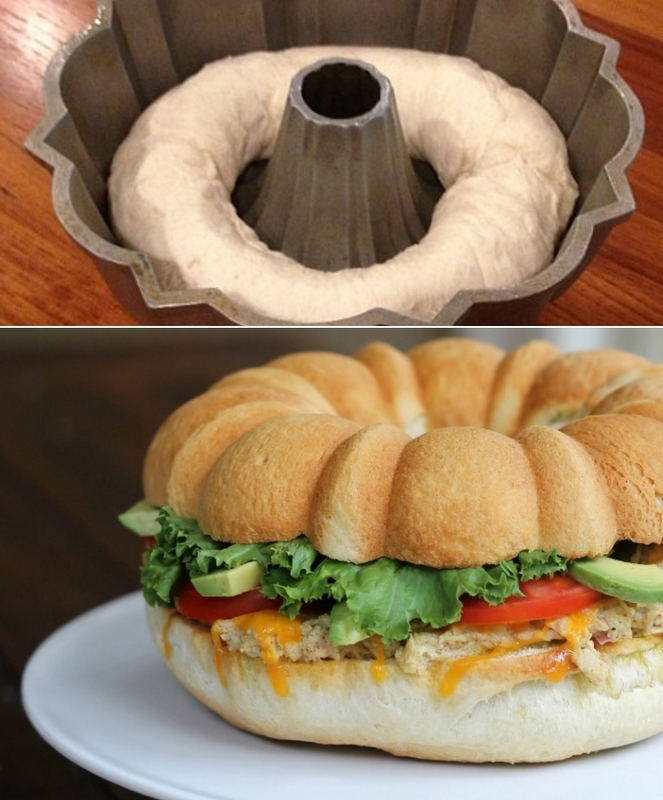 Besides adding avocado, the shape of the sandwich makes it look like a fluffy, softer, and much larger version of a bagel. This would make enough for a potluck at work! Check out the recipe from I Heart Kitchen for more details. 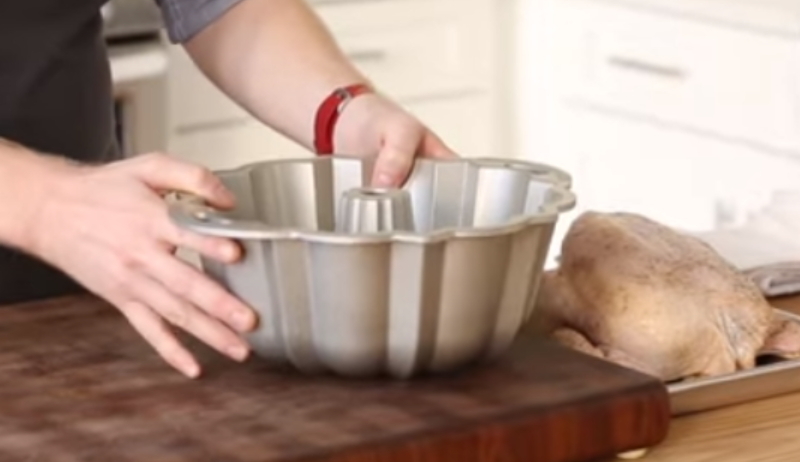 Standing a chicken upright in a bundt pan is the secret trick to getting a crispy roast. Watch how!